The Alberta Government joins Manitoba and Ontario in recognizing Department of National Defence (DND) training and testing requirements. This agreement will allow current and retired Canadian Forces members to operate commercial vehicles without additional testing. Previously, military veterans were unable to transfer their credentials when they left their military careers. This agreement allows conversion from the DND 404 licence to Alberta driver’s licence classes 1, 2, 3, 4 and 5, allowing applicants to drive semi-tractors, large trucks, buses and limousines, thereby addressing labour shortages in the commercial trucking industry. 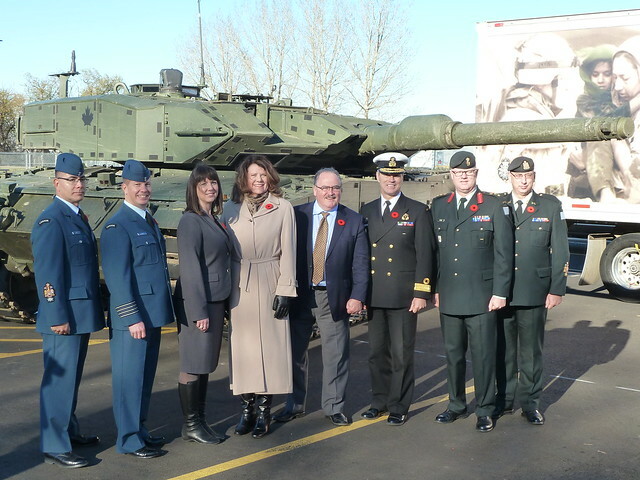 "I'm very pleased that Alberta has joined with a growing coalition of Provinces in providing civilian commercial accreditation for the equivalent military driver qualifications provided by the Department of National Defence. This important step will provide many serving Reservists, transitioning military personnel, and recently retired vets with a marketable qualification and terrific new career opportunities in the commercial trucking industry." Since the agreement was signed on June 18, two retired and 47 active members of the Canadian Armed Forces have applied. Of those, more than two-thirds have transitioned to Alberta driver’s licences. Class 4 licences (Professional) allow users to drive a taxi, ambulance, a bus that seats fewer than 25 passengers and all vehicles covered under Class 5 (standard driver’s licence). Class 3 licences (Non-professional) allow users to drive vehicles with three or more axles as long as the trailer is not equipped with air brakes, as well a taxi, ambulance, a bus without passengers, and all vehicles covered under Class 5. Class 2 licences allow users to drive all vehicles covered under Classes 3, 4 or 5, as well as buses with more than 25 passengers. Class 1 licences allow users to drive any motor vehicle other than a motorcycle. There are 347,111 drivers with Class 1, 2, 3, or 4 licences in Alberta as of January 1, 2015.